Levant, Blood on the Church Hall Floor, and Mississippi Rising cull inspiration from news headlines. Detail of Paul Mueller's "Untitled Photograph 3." Remember when "Ripped from today's headlines!" in bold type spun toward movie audiences as if flung from churning newspaper presses? Nowadays, we may follow Wall Street's slightest palpitations electronically, but we're still news junkies. Eric Bohr, Paul Mueller, Terryl Dunn, P.K. Frizzell, and Mary Curtis Ratcliff look at current events and try to make artistic sense of them, with the unprintable expletives deleted. Bohr's new mixed-media paintings, entitled Levant, are an abstract meditation on the Middle East, the cradle of civilization, religious incivility, and God-given American oil. Bohr: "The choice and handling of materials, and the monochromatic look ... evoke arid, windswept places and the structures, both physical and societal, that have made their mark against the passage of time." His paintings ("trajectory," "dervish," "dwell"), with their blurred rectangles of paint and plaster-soaked cloth and cardboard, are abstract and apolitical, but the dialogue between material objects and drawn/painted ones, the supposedly transient and the timeless, suggests the eternal tension between order and chaos. 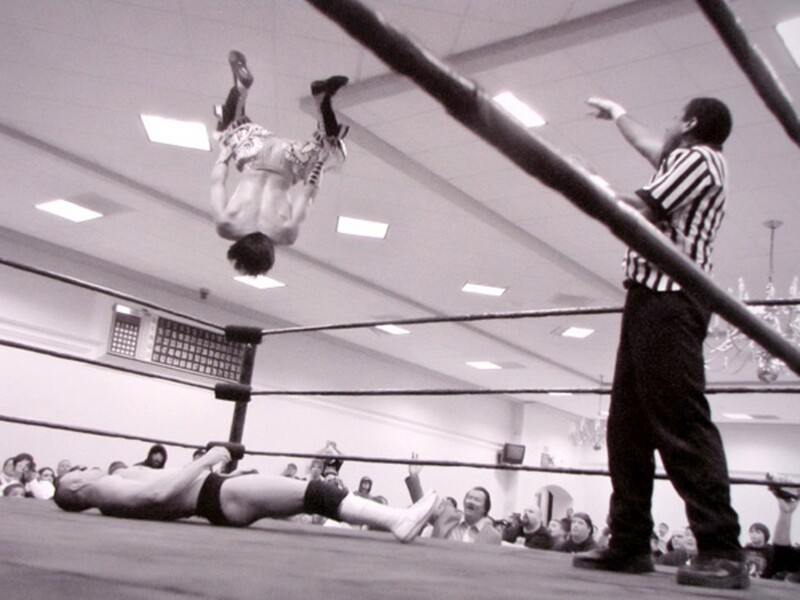 Mueller's photo series, Blood on the Church Hall Floor, focuses on amateur wrestling, a subculture combining sports, spectacle, and drama — like pro wrestling, but low-budget and local, with some of the matches apparently taking place in church basements — who knew? Mueller's form of documentary photography is from the Reform Church, however, with a postmodern acceptance of artifice, the grainy look of fast Tri-X film simulated through digital legerdemain. The unglamorous black-and-white images of athletes and fans (catalog available) are variously funny, banal, and revealing.